Mac 1 (also known as Miracle Alien Cookies) has become a supernova in the Cannabis community over the past few years for her outstanding attributes. This resin soaked, high yielding, and great tasting pheno has fans across the country hoping to add her to their gardens. 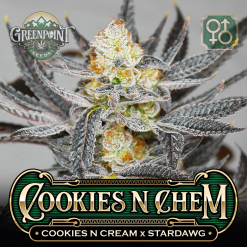 Mac 1 (also known as Miracle Alien Cookies) has become a supernova in the Cannabis community over the past few years for her outstanding attributes. 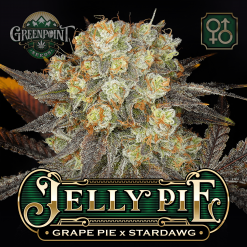 This resin soaked, high yielding, and great tasting pheno has fans across the country hoping to add her to their gardens. Capulator bred, and pheno hunted, this beautiful phenotype which is a female Alien Cookies F2 (Alien Dawg x GSC) bred by Jaws Genetics that was pollinated by a male Miracle15 (Colombian x Starfighter) bred by Alien Genetics. The Alien Cookies F2 that Cap initially found had the extremely high-quality resinous flowers he was looking for but was slow to veg and lacked yield. When he combined it with the Miracle15, everything he was hoping for was discovered in what is now known as Mac 1. 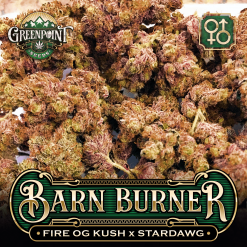 One pack of the last Mac seeds sold at auction for $17,000 and cuts of Starfighter were at one time sold for $5,000 to highlight the value given to this cultivar. 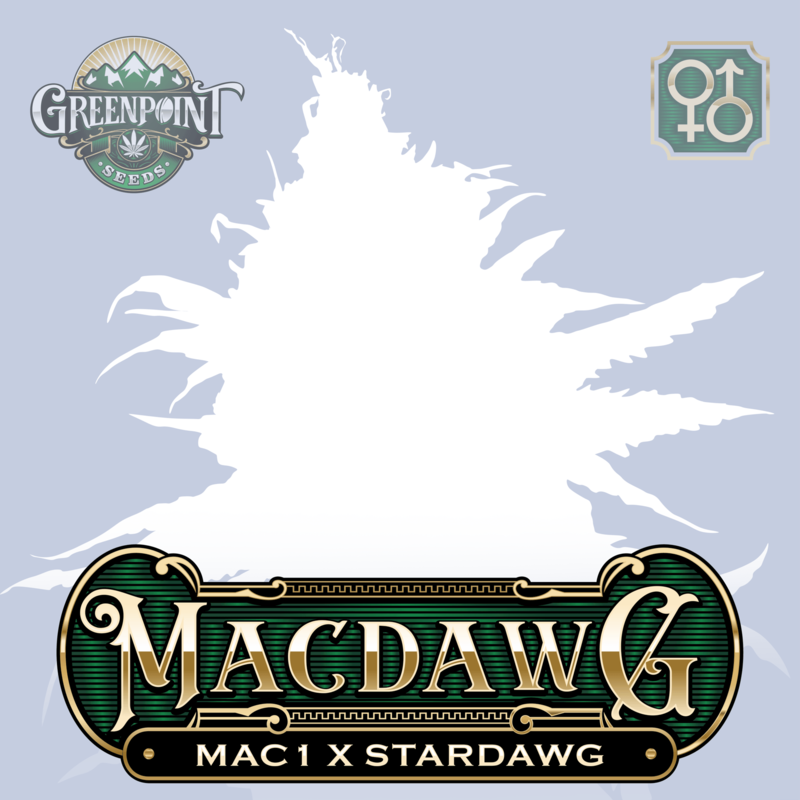 Combining Mac 1 with Stardawg is something extraordinary and will hopefully create new phenotypes with even higher yields and more diverse fragrances and flavors. Mac 1 is an excellent selection for any level of grower to add to their garden. This hearty and robust variety is fun to train with a trellis net or by staking. You will be rewarded with large yields of incredibly aromatic flowers that will have you hypnotized by their beauty. The bag appeal on this cross is mouthwatering and will have you and all of your friends in awe every time you break her out. Mac 1 is an all-day variety that will heighten your mood and relax your muscles while allowing your mind to drift away from the stresses of the day. 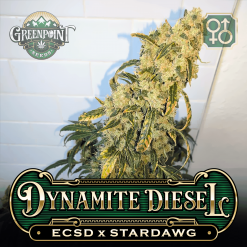 This is also an excellent cultivar for anyone looking for appetite stimulation. 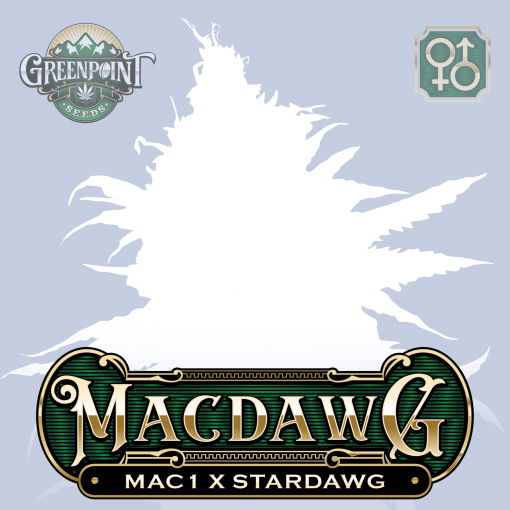 Don’t miss out on your chance to add this Mac 1 x Stardawg cross to your garden. 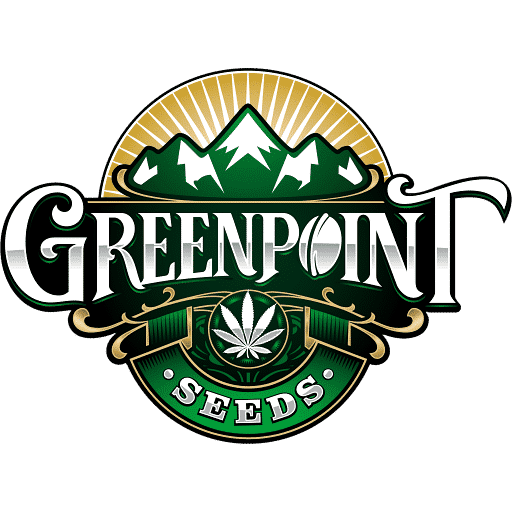 Grab a pack today.